The horses in the April 15 National Cutting Horse Association (NCHA) Super Stakes Open finals clawed their way through sets of difficult cattle to qualify for a chance at glory. With a field of 21 hopeful 4-year-olds and their riders, cutting fans in the Will Rogers Coliseum in Fort Worth, Texas, were anxious to see how the finals would unfold. Hashtags was one of nine horses by the great Metallic Cat, whose offspring earnings surpassed $12 million this year, to advance to the final round of the Open. The 4-year-old stallion, owned by Jose Raul Garcia, proved to be the best in the pack when he marked a 220 with Tatum Rice from the second draw in the second bunch of the Open finals to walk away with the Championship and a $74,095 paycheck. Hashtags, bred by Jim Haworth, of South West City, Missouri, is out of the Dual Rey mare Dual Rey Tag ($57,251). His second dam is Playin Tag, a 2000 mare with more than $235,000 in earnings who carried Cara Brewer to the NCHA Super Stakes Open win in 2004. This win nearly doubled Hashtags’ Equi-Stat record, which stood at $80,346 prior to the Super Stakes. The majority of that total was garnered during the 2016 NCHA Futurity, where the stallion and Rice finished eighth in the Open. The Super Stakes Open Reserve title went to Melting Snow, a Metallic Cat mare who is owned by Buck Creek Quarter Horses LLC, of Nemo, Texas. Ridden by Clay Johnson, who pushed past the million-dollar mark in lifetime earnings with this performance, Melting Snow marked a 219.5 to miss the win by merely a half-point. Melting Snow, who is out of Nurse Moss (by Dual Pep), first made headlines in 2015 when she sold for $280,000 at the 2015 NCHA Futurity 2-Year-Old Sale. 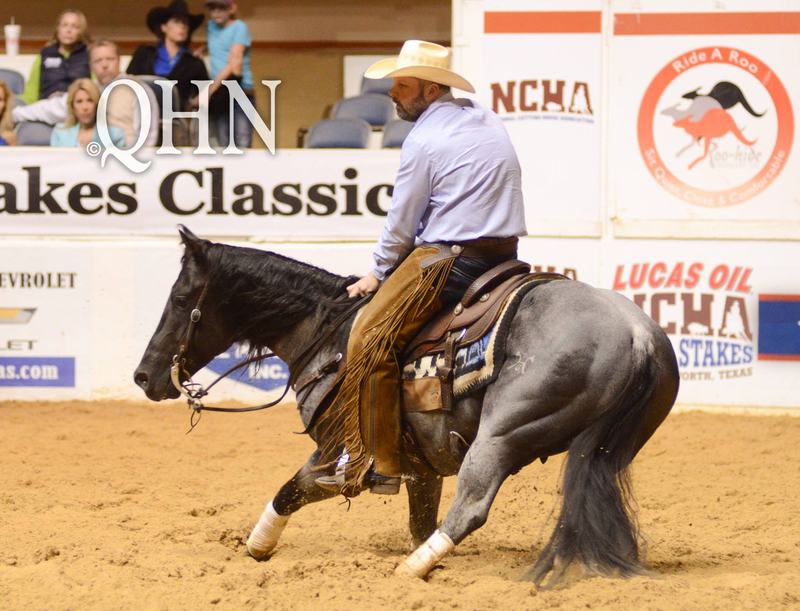 Prior to that, the red roan mare brought a $52,000 bid from Rusty Simpson when Holmes Cutting Horses offered the then-yearling in the 2014 Preferred Breeders Sale during the NCHA Futurity. For complete coverage of the NCHA Super Stakes, subscribe to Quarter Horse News.